Christian Furr is on the board of AGBI. The AGBI – Artists’ General Benevolent Institution – was founded by J.M.W Turner in 1814 and financially supports professional artists in need living in England, Wales or Northern Ireland who cannot work or earn due to accident, illness or older age. The AGBI is an independent charity run for artists by artists. Receiving no public funding, the AGBI depends on the continuing generosity of our supporters and friends. 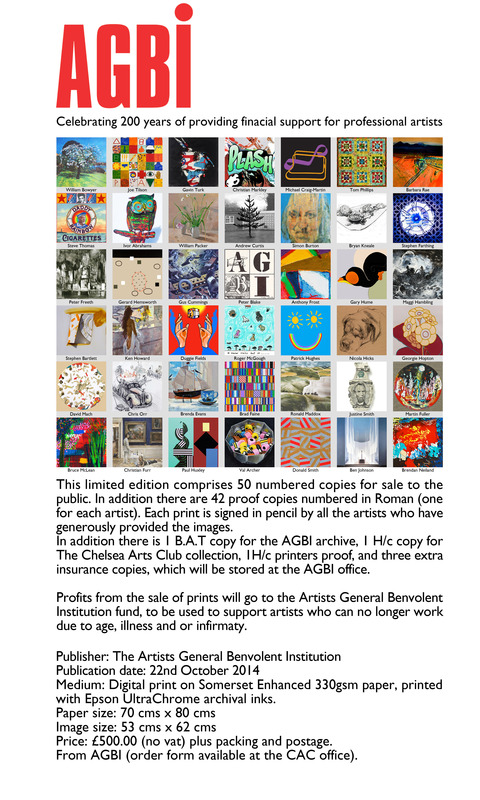 A limited edition print specifically created to celebrate the bicentenary of the Artists’ General Benevolent Institution (AGBI) was produced in 2014. This edition comprises 50 numbered copies for sale to the public. In addition there are 42 proof copies numbered in Roman (one for each artist). Each print is signed in pencil by all the artists who have generously provided the images. 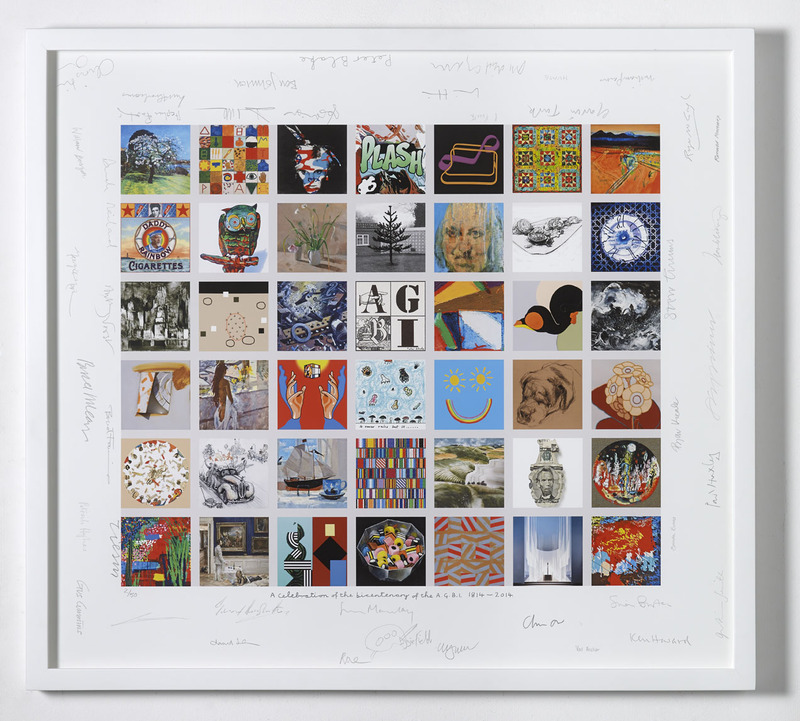 42 leading British artists including 15 Royal Academicians were involved in the making of the print, including Gary Hume, Christian Furr, Sir Peter Blake, Gavin Turk, Joe Tilson, Michael Craig Martin,, Bruce McLean, Steve Thomas, Donald Smith, Patrick Hughes, Ken Howard, Brendan Neiland, David Mach, and Justine Smith.